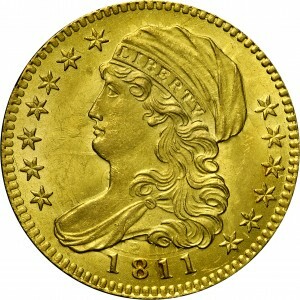 Two varieties have been identified from the 1811 half eagle mintage of 99,851 coins. 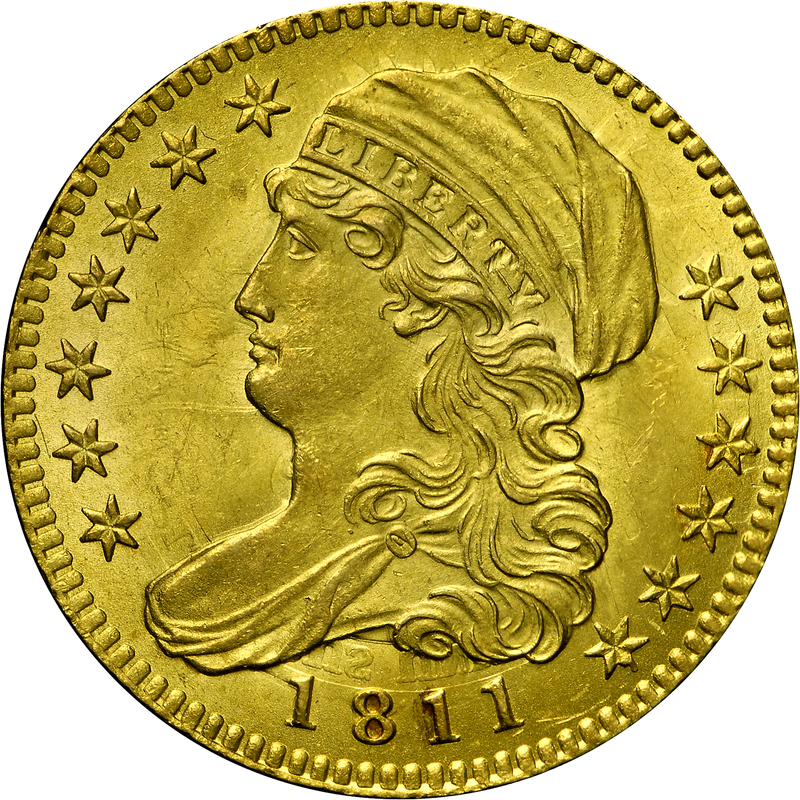 These have a common obverse die mated with two distinctly different reverse dies. 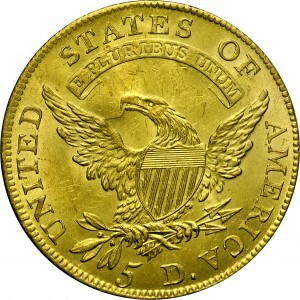 These reverses are quickly identified by the denomination, which is either tall and wide as displayed here, or short and close as seen at HBCC-3122. Neither variety is rare, although this Tall 5 variety is considerably scarcer. This variety shares the same reverse as the 1810 Small Date, Tall 5 variety of HBCC-3120. From Quality Sales Corporation's sale of the John A. Beck Collection, Part I, January 1975, Lot 386. 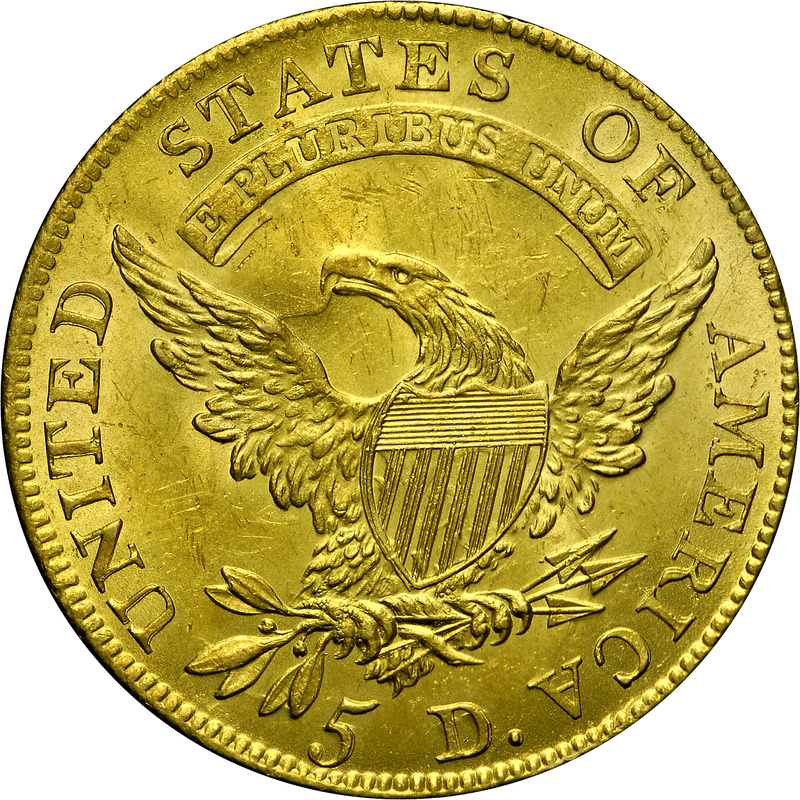 "Obverse: Small numerals. Extensive clashing evidence: below ear, around cap, face, hair, above date numerals, etc. Reverse: Tall 5, base above three shortened denticles; D repunched. E(S) above B and left upright of U. Weak cracks in O; under OF - wing - AMER. Rust lumps, now weak, in field beneath scroll, above head and neck. Heavily clashed: at top of left wing, beak to top of right wing, within shield, etc."